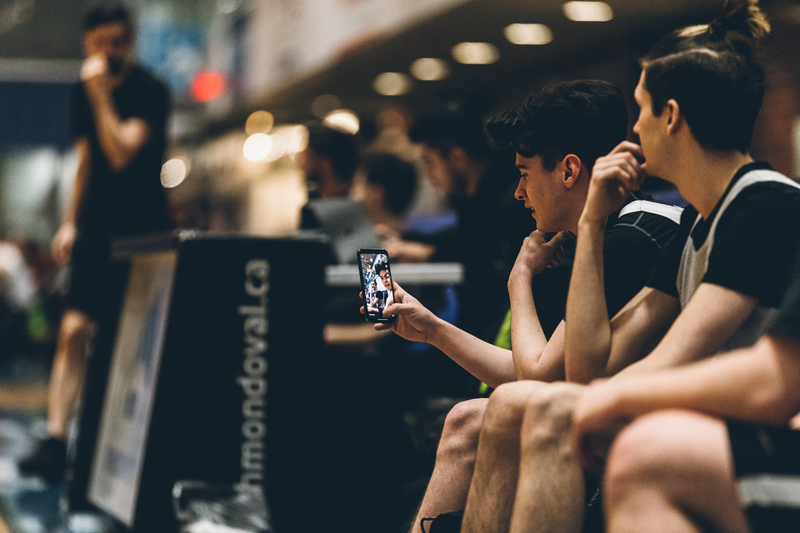 Vancouver, BC - The 10th Year Anniversary of The Vancouver Metro Basketball League™ kicked off last night at The Richmond Olympic Oval with 22 teams taking action on the newly refurbished courts. With a mix of familiar and new faces, this season promises to be the best yet. Check out the game recaps below! For the FULL Photo Album from Week 1, head to the Metro LeagueFacebook Page. The first game of regular season started off strong. 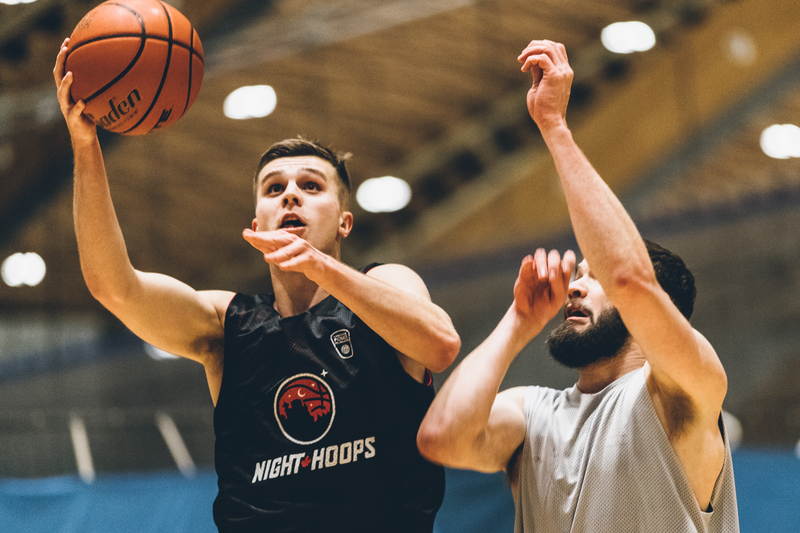 Night Hoops looked poised after coming out with a hot shooting start. Gary Minhas sparked Night Hoops by relentlessly attacking the rim and knocking down a couple 3’s. Tarn Dhaliwal had a big night on the glass with 10 rebounds and 8 points while teammate Anthony Demch added 14 points and 7 rebounds as they led a balanced attack in the first half. The second half is where things got interesting. Zach Frejlick of the Family Guys continued his stellar play doing on it all to keep his team within striking distance. Zach put up 23 points and 10 rebounds on the night while teammates Darius Hossein-Pour and Jeffrey Bueckert combined for 30 points on the game. Night Hoops didn’t let off the gas at all, and down the stretch did all the little things, diving for loose balls, taking charges, and communicating to ensure the win. Going into the Grizzles vs Huskies game, picking sides would have been easy as the Grizzlies had size advantages at nearly every position. In the first half the Grizzles showed their strength and jumped out on the Huskies with a quick 26-8 lead. The well balanced scoring display from the Grizzles throughout the first half was enough to put them go into cruise control to end the first half. To start the second half the undersized Huskies were not going out with a fight, they came out on a 14 to 4 run led by Mark Mitchell and Jamal Mullings, who combined for 22 points and 6 assist for the game. The Huskies scrappy play brought them within eight at one point but the Grizzles big man Angus Tone presence in the paint and ‘Mr. Beast Mode’ himself Anthony Amenyogbe was too much to handle down the stretch of the second half. Tone put up 17 points and 9 rebounds while Andrew added 15 points 7 rebounds and 4 assists. 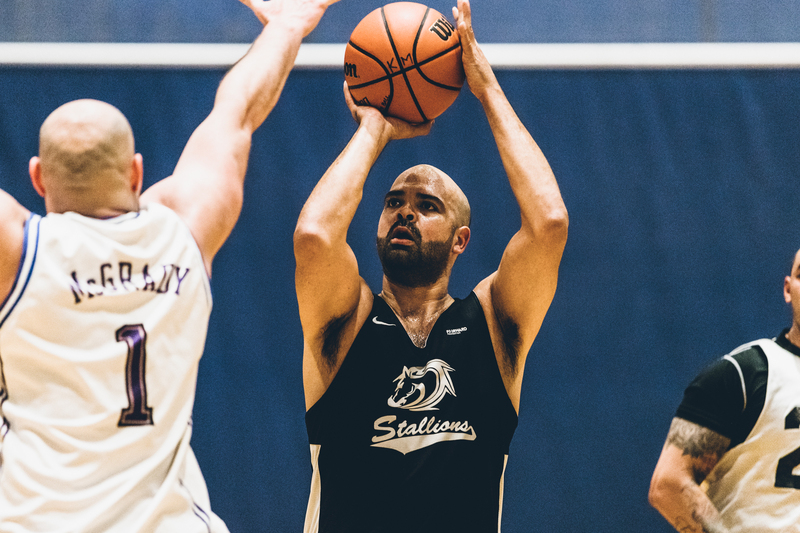 Long time Vancouver Metro Basketball League™ team, The Stallions, showed out in their first game reminding spectators why they are a favourite team each season. The Stallions led by Roger Sheung jumped out to an early lead and looked as if they were in mid-season for. Their years of playing together clearly, paid off as their chemistry on-court shined through their ball movement. For the Raptors, Kris McMurray and Elliot Couillard would shoulder the scoring load doing their best to keep the Raptors in it. In the second half, Jit Locham would use his size inside to extend the lead on-route to the Stallions first victory of the season. The Stallions are looking to return to the Championship Game with hopes of hoisting the Championship Trophy again. 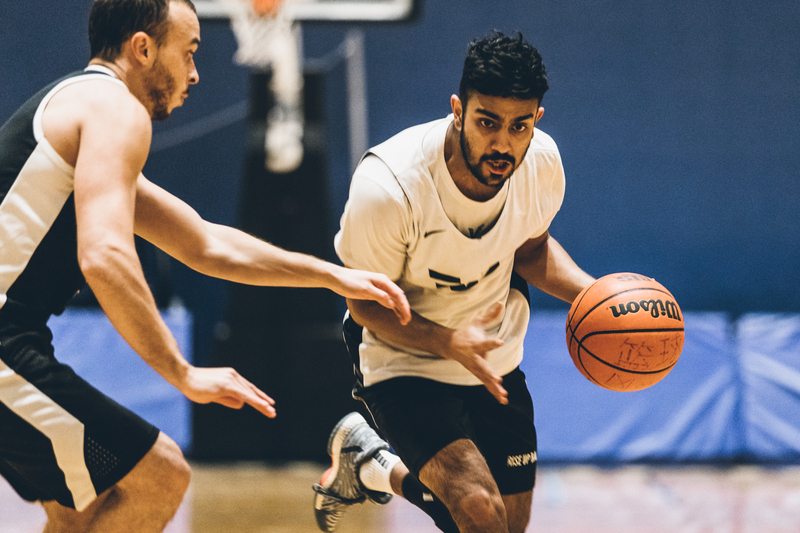 The Reign didn’t waste time to get a win on opening night of The Vancouver Metro Basketball League™. Luca Bonamici started the game on fire, notching three three pointers early to give the Reign a 28-12 lead. In the second half, Pepe Vega and Oscar spear headed the comeback attack for the Agaveros closing the gap to single digits in the second half. Closing the game, Demi Harris and Ethan Scott went to work for Reign with Warren Liang chipping in down the stretch. 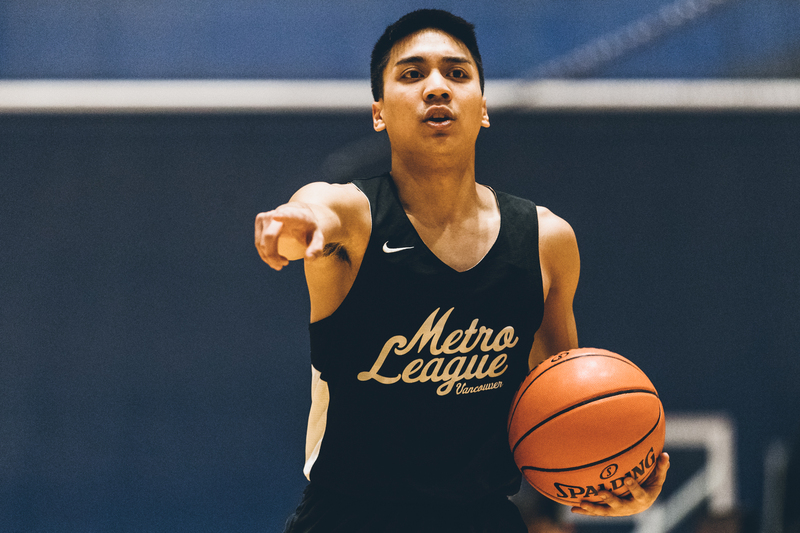 Ultimately, with a short bench, the Agaveros ran out of gas and Reign would take the victory in the closing game of Week 1 of The Vancouver Metro Basketball League™. 1st Half - Kicking off Season X on Court 5. Banana Boat played a strong game from start to finish and would end the first half on an 8-0 run. 2nd Half - All Trouble fought through the second half, but ultimately could not handle the strong play of Banana Boat Crew who cruised to victory. TTP proved why they always contend for a Championship with their Opening Week performance against new comers 'The Squad'. A combination of size and hot shooting would power TTP all night long. Nedim was knocking down shots from outside while Omid Toussi and Dan would clean the boards for easy put-backs. Playing short-handed, 'The Squad' would put up a fight down the stretch but couldn't chip away at the lead. When the final buzzer sounded, TTP notched the first triple digit scoring game of the season. 1st half - On Court 5, the second game of the night did not disappoint, SWAT got a good start to the half, defending well and ending the half with a small run. 2nd half - Kawhi So Srs started the second half with a couple of threes and got a very good defensive effort to spark their comeback. 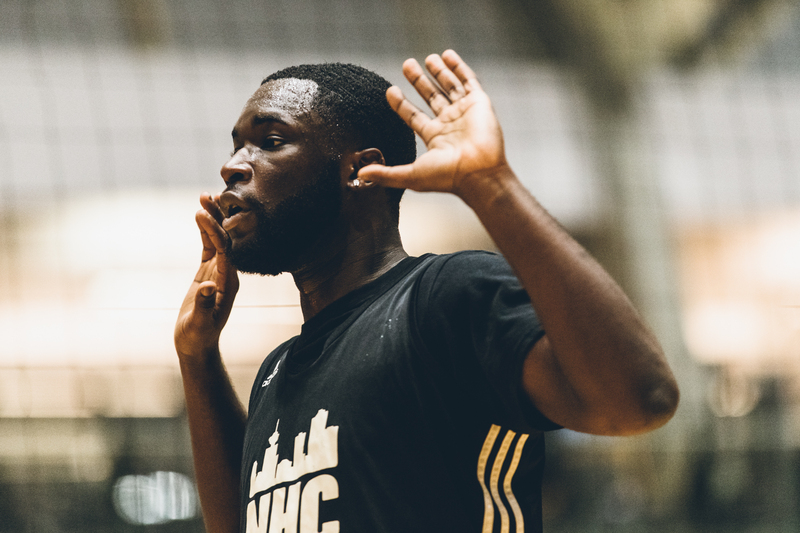 Alban Shala got the hot hand at the end of the game sinking three three pointers to end the game giving Kawhi So Srs their first W of the season. The Underdogs and Nothin' But Netflix battled all night long, trading the lead multiple times. The Underdogs were hot in the second half as their jumpers would continuously fall. 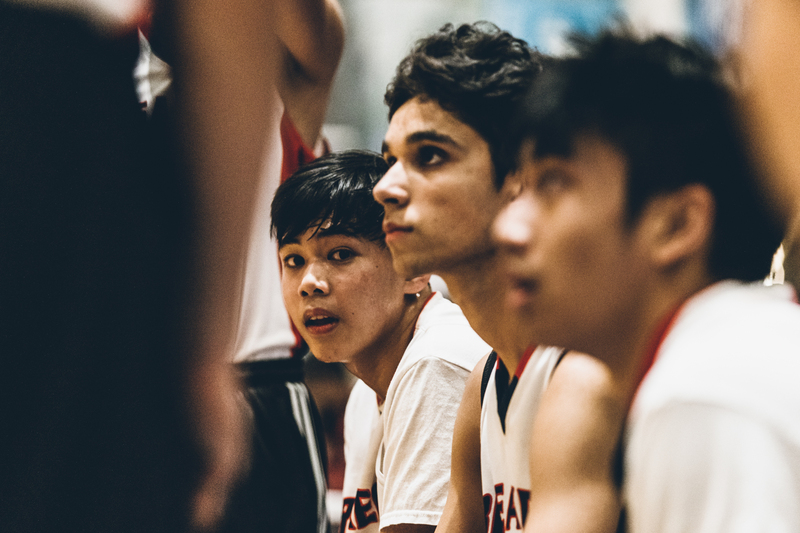 Led by Thomas Hum and Richard Conanan, Nothin' But Net-Flix would attack the paint at every possible chance keeping the game close. Down the stretch, the Underdogs came up with timely baskets and secured the win with their composed play. 1st half - The third game of the night on Court 5 came packed with treys! Ball Don't Stop Much, scored a total of five threes in the first 23:00 minutes. 2nd half - The All Canadians started the second half playing great defence, grabbing six steals in the second half. They fought their way back into the lead with five threes coming from Lazar Cuk that provided the boost for them to win the game. 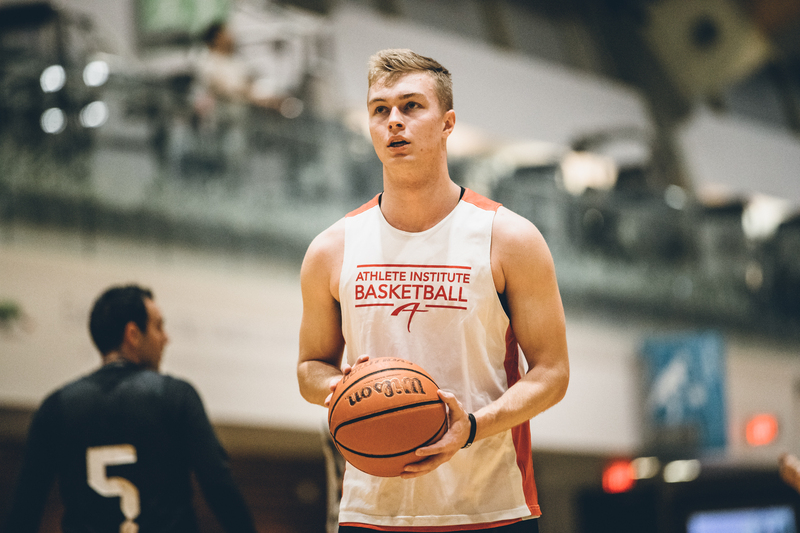 The Cushman Skyscrapers returned for their second season in The Vancouver Metro Basketball League™ and would open their season against the Bucket Getters. 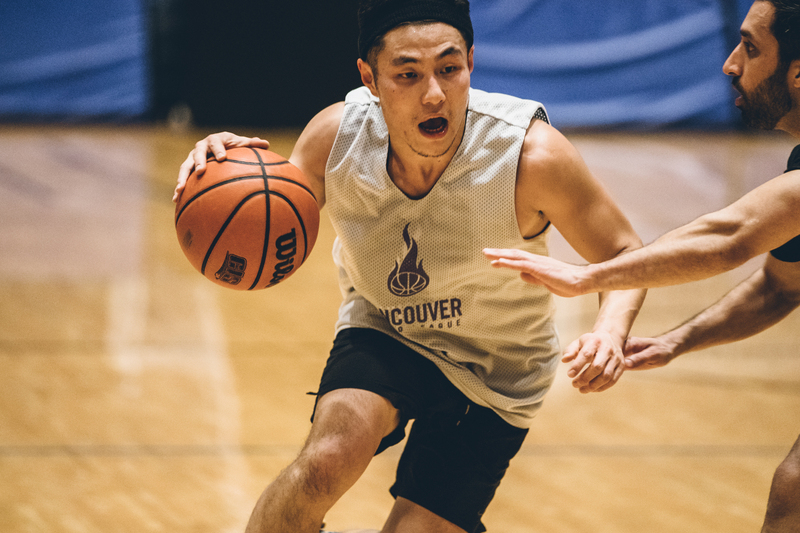 This back-and-forth game featured strong performances from Weilun Huang and Cosmo for the Bucket Getters and Andrew and Geoff for Cushman Skyscrapers. With the game coming down to the wire, Weilun would complete two 'And 1's' to finish the game giving his best effort to seal the victory. 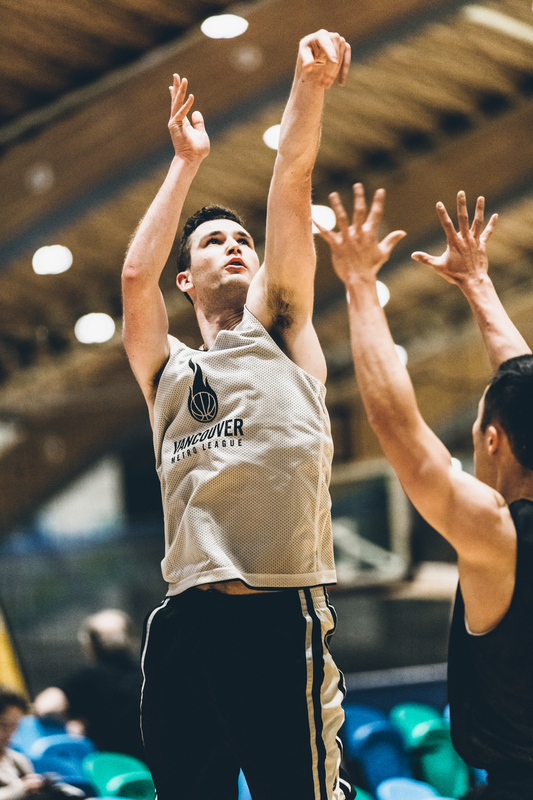 A last second shot attempt by the Cushman Skyscrapers would not fall and the Bucket Getters would get their first Win in The Vancouver Metro Basketball League™. 1st half - The last game of the night at Court 5 was a tight game in the first half with both teams exchanging buckets back and forth. OT Bandits defended and rebounded well to finish the first half giving the defending Champions 'The Party' all they could handle. 2nd half - The Party brought the ”party” indeed for the second half, they rebounded really well and came up with four steals. Mo Karimirad sank three '3's' in the half to help his team get the first win of their title defense season. 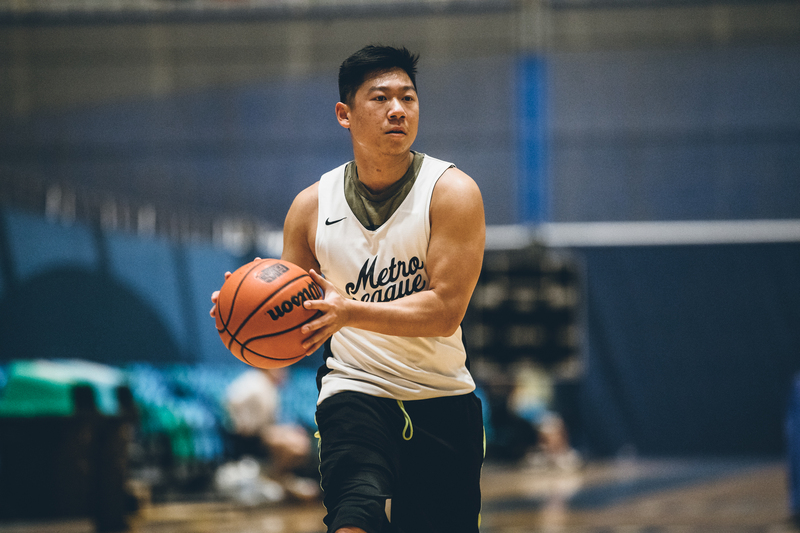 Week 2 of the 10th Anniversary Season of The Vancouver Metro Basketball League™ returns next Monday January 21st at The Richmond Olympic Oval. Games start at 7:00pm, 8:00pm, 9:00pm, 10:00pm.